JUST ADDED: Want the book-only option? Get it at a special price...Click Here to Buy. He has consulted for more than 1,000 companies and addressed more than 4,000,000 people in 4,000 talks and seminars worldwide. As a Keynote speaker and seminar leader, he addresses more than 250,000 people each year. Looking back, I can see a number of ways in which I was heading down dead end paths, led by my own losing perspective on life. Something For Nothing opened my eyes wide and clear. I file this one in my personal category of things that should be required reading for all people. That's exactly what happened to me when I began to read this amazing book. Many of America's citizens need to read this book. I made it required reading to more than 13 students that I mentored last year. And you know what? There still talking about this amazing book eleven months later. Can you believe 13 & 14 year old children reading this in order to improve their lives and if Mr. Tracy's concepts can change their lives he can change yours. You see this book is loaded with in depth knowledge on how the human mind works. It looks at some the foundational mindsets that work against most people but could work in your favor if you only knew how to use these mindsets to work for you. In this book Brian Tracy shows you how to high step over the negative hurdles these mindsets have when you focus on them negatively. Great job...you've done it again Brian Tracy. As a media personality, I have interviewed Brain a few times in the past and have always been amazed at his direct way of getting to the point and telling what is most needed to be said. As soon as I got word of this book, I rushed to buy it. For some reason its core message spoke to the very essence of my heart. What I tried for quite some time to articulate to others, Brian in simple, clear language, said with laser-vision accuracy. I believe this book will help America truly achieve the "American Dream" instead of the current American Fantasy! I have read several of Brian's books and I have always like his no BS way of getting you the facts that you need to get exactly the result you want. This book is fantastic in informational content as well as being hard to put down from just a reading perspective. 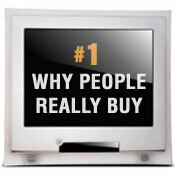 I have already sent the link to this book to my entire customer base just because of the value they will get. I have been a modest reader of Brian's work for a while and a friend gave me this book and said that it was a must read - he was so excited! Once i picked it up, I understood, as I was unable to put it down and powered through it during the weekend. This is a bit different from much of Brian's other material, but it is quite remarkable and i hope he does more of this kind of stuff. Essentially he gets into the core of human nature and helps bring it to life. He then extrapolates on these premises and helps us understand where much of the bad and good come from in this world and what types of things, we as U.S. citizens, can do to help make this a better place to live. I wish that they made this book a mandatory reading in all high schools- would sure help us all out!!! Enjoy! There is an emotional, economic and sociologic epidemic sweeping across America and the world today. This invisible yet dangerous disease is literally destroying individuals, undermining our very society, and threatening everything we believe in. In fact; the very future of civilization as we know it will be threatened if we don’t do something about it—and soon. Unfortunately, this epidemic is rooted in an out-of-control, almost insatiable worldwide demand. The demand to get something for nothing! First let me explain how we arrived at this predicament. If the truth scares you, please stop reading now and go back to your fairy-tale world. This ethically and morally fatal illness can be contracted gradually, or all at once. It usually starts out small. As children, we learn how to get what we want by whining and crying. Essentially, we do our best to get as much as we can with as little effort as possible. Later, as we mature, we fine-tune our ability to exert the least amount of work for the most amount of gain. We’ll do what we have to, in order to get what we want, as long as there is not too much personal effort involved. In many cases, we even settle for less, simply because it’s easier. So how did we end up like this? Seems the idea of "Free Money" is like a cancerous tumor that starts out as a single cell and rapidly grows into an uncontrollable disease. Quickly, it spreads out of control and eventually—if left unchecked—destroys our moral and ethical immune system. As humans, our naturally greedy and immoral desire is to enrich ourselves at the expense of others. It’s the driving force behind every form of anti-social behavior, corruption, criminal activity, and unhappiness. Our crazy obsession with free money is at the root of most wars, revolutions, robberies, scandals and just about every form of treachery in the world today. A single act can trigger this epidemic. A false sense of compassion for those less fortunate, at the moment, can give us a feeling of moral superiority to those who don’t share our concern in the same way. 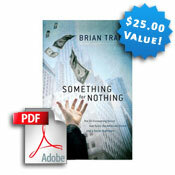 Our "something for nothing" attitude rapidly becomes an addiction. Once captured by the siren song of free money, our appetite becomes insatiable. Like a crack addict, we can never get enough. No matter how much we get for ourselves, or even for others, we constantly want more. And just like a drug addict, we will do whatever it takes to avoid the painful symptoms of withdrawal. When faced with the choice between a hard job and an easy one, we will invariably choose the easy one. We all want to conserve our energy by accomplishing more tasks with less energy. By reducing the amount of energy to get what you want, you increase the amount of life you have available for other things. The result of this action is laziness. Every one of us is lazy. It’s our normal, natural human instinct. While it’s neither good nor bad; it is the way that laziness is demonstrated that defines it as positive or negative. However, the dark side of laziness reveals itself when it causes you to slack off, cut corners, avoid work or waste time. It robs you of your potential if you practice it. The desire for more is hard-wired into our nature. In every culture, even children, when given the choice between more and less, will always choose more. This is the basis of greed. Again, it’s neither good nor bad. It depends on the way you manifest it in your life. As an example, Mother Teresa used her desire for more as motivation to help more people through her Missionaries of Charity. The deep, dark side of greed, you are already familiar with. When people try to get rewards without working, recognition without achievement, or power without service, this is the bad side of greed. Yet, when properly applied, the principle of greed becomes a powerful tool when channeled into productive activities. The positive side of greed, applied in an entrepreneurial spirit, inspires people to create newer, better, faster, and cheaper ways to provide products and services to the public. Many governments, politicians and do-gooders are ignorant to the natural, normal instinct of greed. You see them attacking those who try to get more. They attempt to penalize your normal and natural activities—like wanting to earn a better living—by adding more taxes to take away the money you earn and give it away to others who have done nothing to earn it. 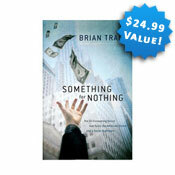 Something for nothing, the all consuming desire that turns the American Dream into a social nightmare. 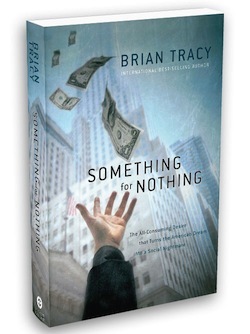 In my book, "Something for Nothing," I explore the idea of a unifying theory and principle that effectively explains the causes and cures of most of our problems. In this fast moving, extensively researched book, I will reveal 5 more important human traits we all possess. Once you start to understand how we are hard-wired as human beings, your awareness of what is going on around you will rise to a whole new level. This book (including the 245 page hard cover, ebook AND 3 CD set for whatever your preferred consumption) contains some of the most extensive research and experience, pulled together from centuries of studying the human condition. Fully validated facts, based on a unique blend of economics, history, psychology, philosophy and travels in 90 countries. 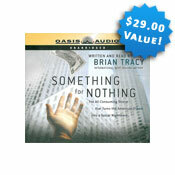 Something for Nothing lays out a clear, compelling case combined with a series of simple steps to solve your problems. You will gain a unique personal understanding of how the world really works. You will come to understand your special role in the big picture and how your personal life is affected daily by people trying to get something for nothing. Your understanding of life and the way you see the world, will never be the same as you experience "Something for Nothing." Allow yourself to be open to the possibilities of how this can affect you. You’ll not only discover the single most important thing you can ever do before you become a victim of the something for nothing disease—but why it’s so important and how to go about it! You’ll discover every one of the 7 human traits I’ve encountered in the past 30 years of traveling the globe. What’s more, I’ll detail how you incorporate these traits into your own life, business, and work for total success. Your eyes will finally be open to allow more opportunity in your life as you begin to understand the underlying principles of how things really work. You’ll get a complete plan for creating your ultimate personal success in the world. 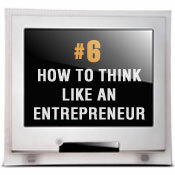 And as you are thinking about the idea of something for nothing, you become really interested in discovering more. But how do you know if Something for Nothing is for you? Get the book here. It’s easy really. If anything I’ve said here sounds familiar, if the concepts resonate with you—or even if you don't agree with what I'm saying—you know, deep inside, you find the possibilities intriguing. I’m so sure you’ll absolutely love this riveting material that I’m willing to assume 100% of the risk by letting you examine the book, ebook and CD’s for 1 full year. If at any time you feel you haven’t discovered something new to enhance your life, I want you to return it for a full and friendly product refund. For your own good, take advantage before I hit my irrevocable sales limit of 107 copies. It will change your personal and business life forever…So take action by reserving your copy below, today. The next move is up to you. I’ve shown you that Something for Nothing is as risk-free as an offer can come. You and I both know that if you’ve read this far in the letter, you’re seriously interested in improving your business and personal income. All that’s left to do now is take action. To make sure you reserve you copy now, I'm going to offer you SEVEN of my Brian Tracy University course videos. These are worth $48.75 each, but I'm going to give you an exclusive discount because they are so relevant to this topic...and I want to give you more than you bargained for. Enjoy! 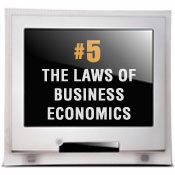 As you can clearly see, this is a huge value proposition. Just a reminder—there are only 157 107 copies of this exclusive package left. So take action right now, while it’s fresh in your mind. Now, you can buy the book-only option if you would prefer...for a mere $39, there really isn't anything to hold you back. Don't hesitate and miss out on this exclusive opportunity! Choose the best payment option for you below and get started today! Over $400 Value in all, you can get your hands on it for half of what others have paid. 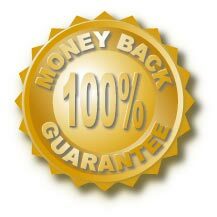 AND with the full money back, 1 full year guarantee, you really have nothing to lose. To make ordering easier, I'm going to give you the option to make 3 easy payments on this package...so there's no reason not to get in on this deal. P.S. Remember, I have 157 107 packages of the book, eBook, Audio book, and Video ready to go—I strongly urge you to grab your copy now, because they will disappear faster than candy on Halloween. P.P.S. Stop and picture how much smoother your life will be when you can recognize WHY people do the things they do and can make sense of almost anything that happens, anywhere, involving anyone. You will be able to use these insider strategies to help you succeed on levels you didn’t know were possible. Think about all of the money and personal success that you’ll be able to generate in no time at all, once you get your hands on my 100% Risk-Free Something for Nothing package. Click on the button below of the best payment option for you—get started today! Copyright 2009 Brian Tracy International. All Rights Reserved.